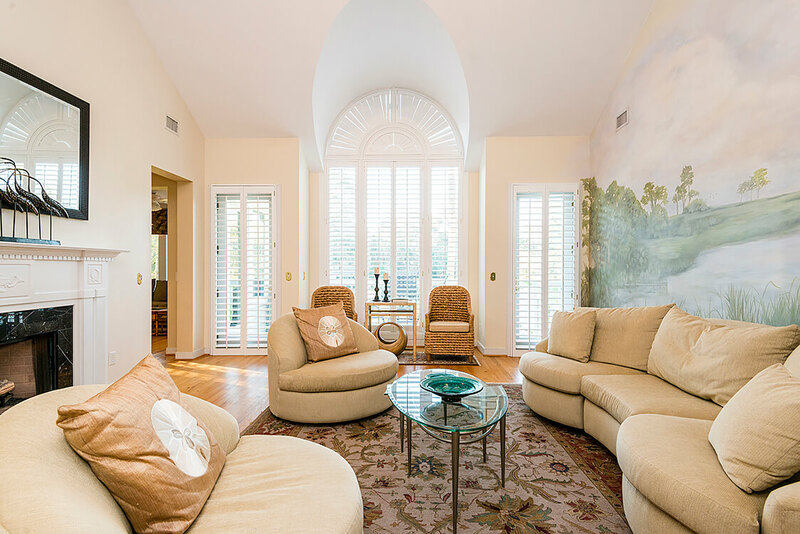 268 Governor’s Drive is a four-bedroom, three-and-a-half bathroom, 3,870 square foot home located privately beyond the second security gate in Vanderhorst Plantation, conveniently between The Sanctuary Hotel and recreational offerings at East Beach and the famed Ocean Course. 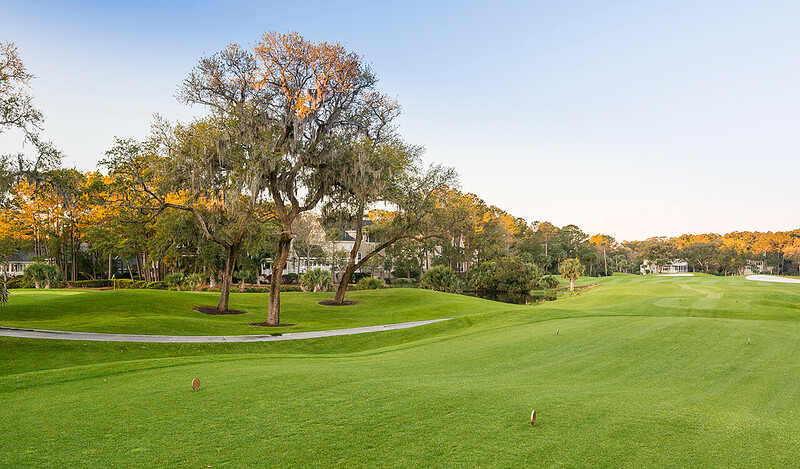 The residence is situated amongst live oaks and towering palmettos on a large corner homesite that overlooks the verdant No.7 tee box of the Osprey Point golf course. 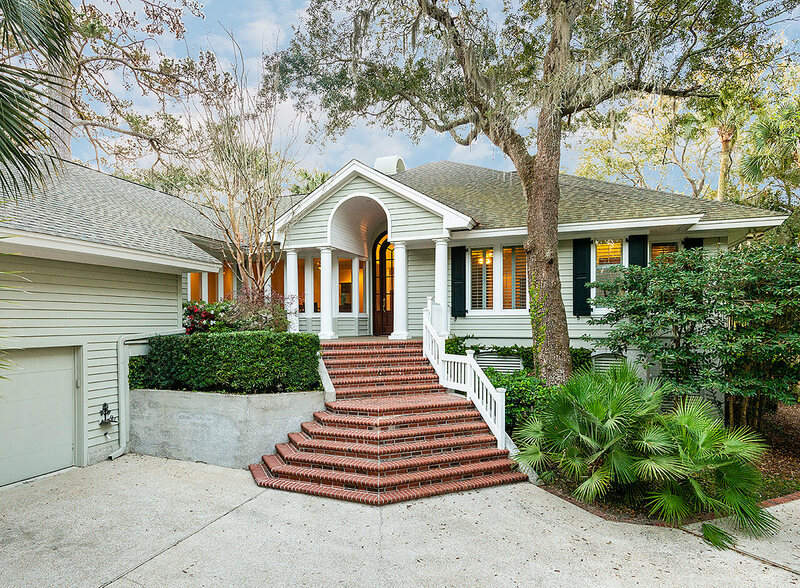 The front exterior of the home offers excellent curb appeal with an inviting brick staircase that also provides a tasteful contrast to the exterior siding and arched columned entryway. 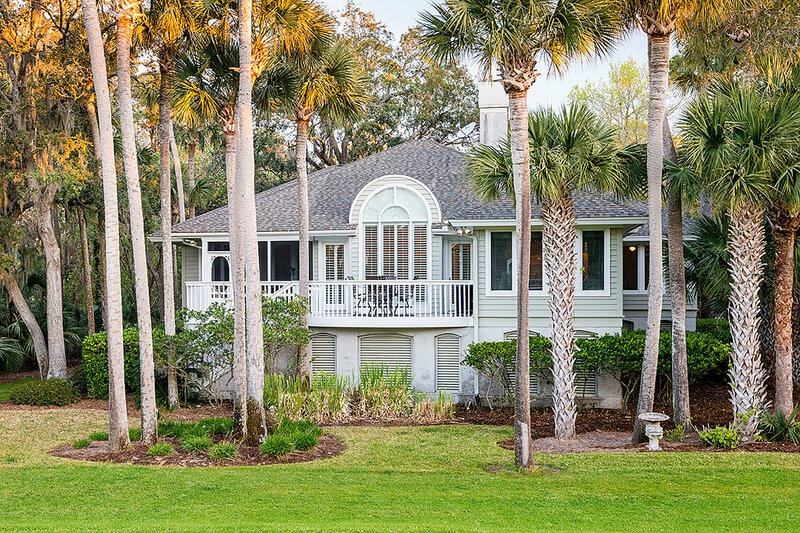 The architectural shingle roof was replaced in 2013. 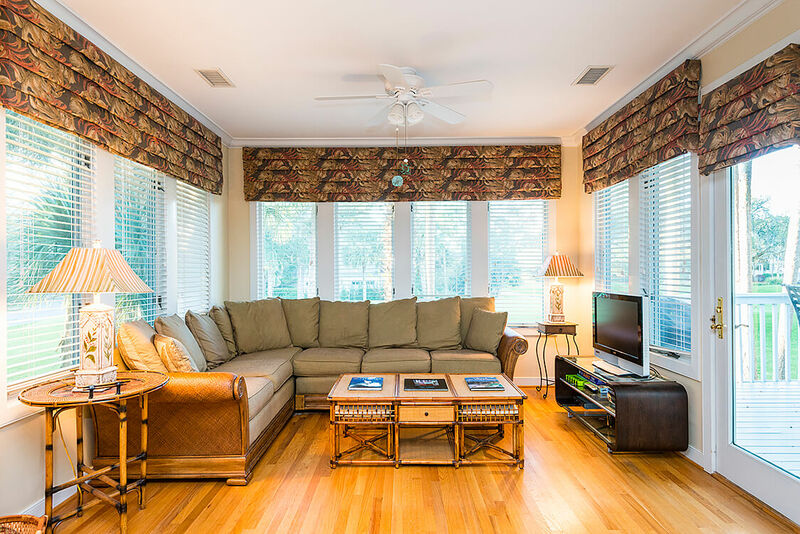 The interior of 268 Governor’s Drive is large with multiple shared living spaces and four sizable bedrooms, which allows for ample space for family and friends. 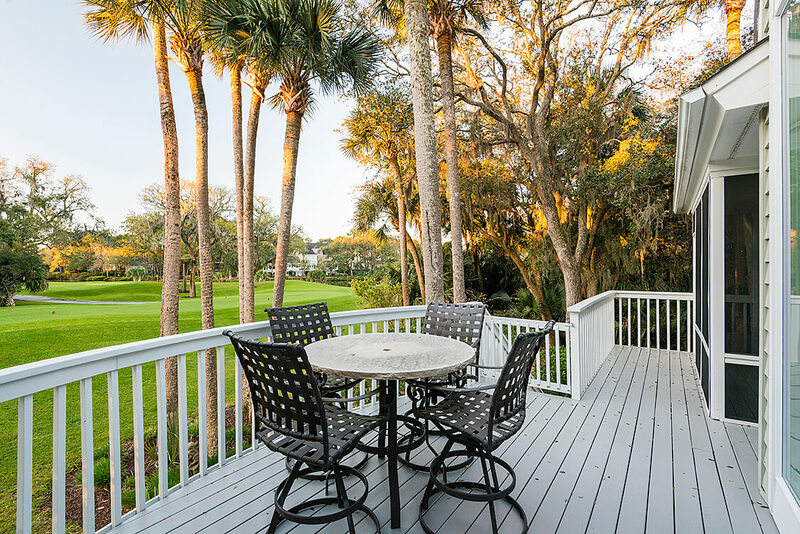 From the front entry, views extend to the back of the home and then across the golf course. 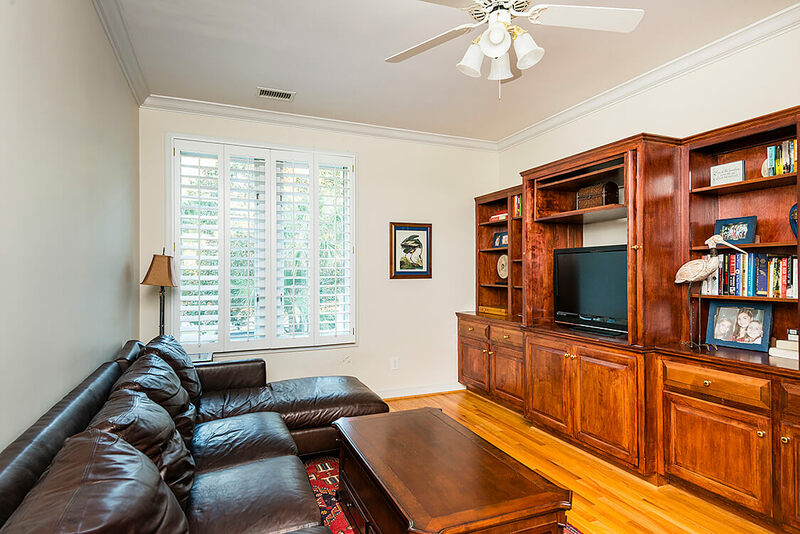 A spacious living room is adjacent to the foyer, and an office/study is just around the corner, offering some privacy. 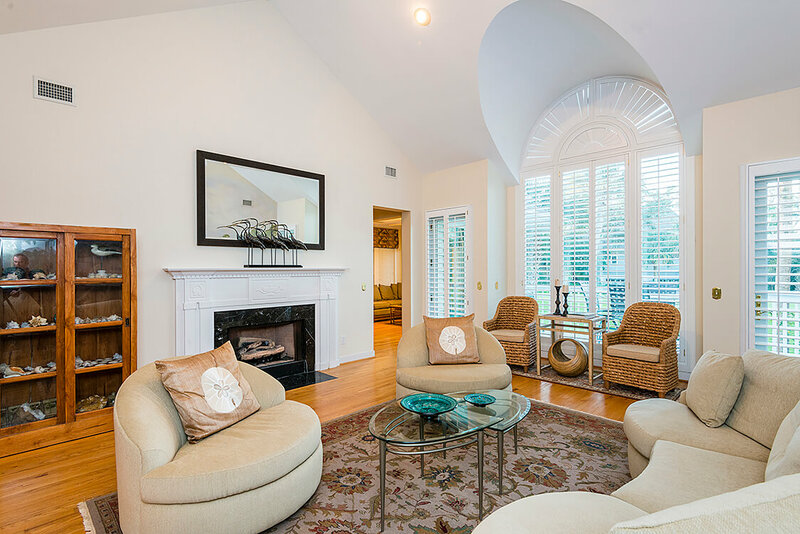 The beautiful living room has soaring ceilings, hardwood floors, and a fireplace with a granite surround and decorative mantle. 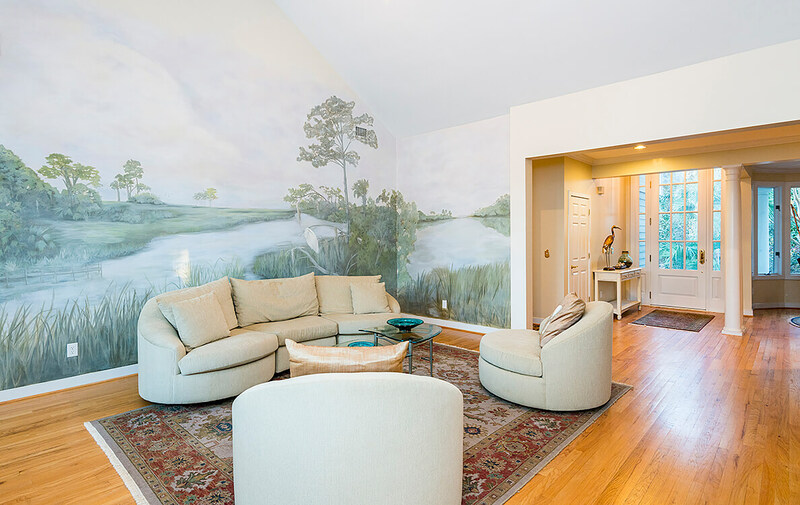 An exquisite mural depicting a Lowcountry tidal marsh setting fills an entire wall, while two sets of doors open to the exterior back deck with expansive golf course views. 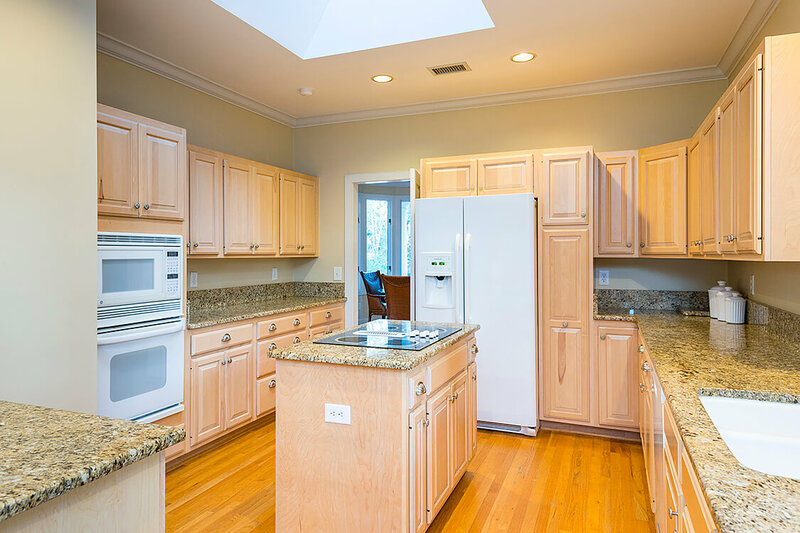 The large kitchen is accented by a skylight that allows sunlight to flow inside. 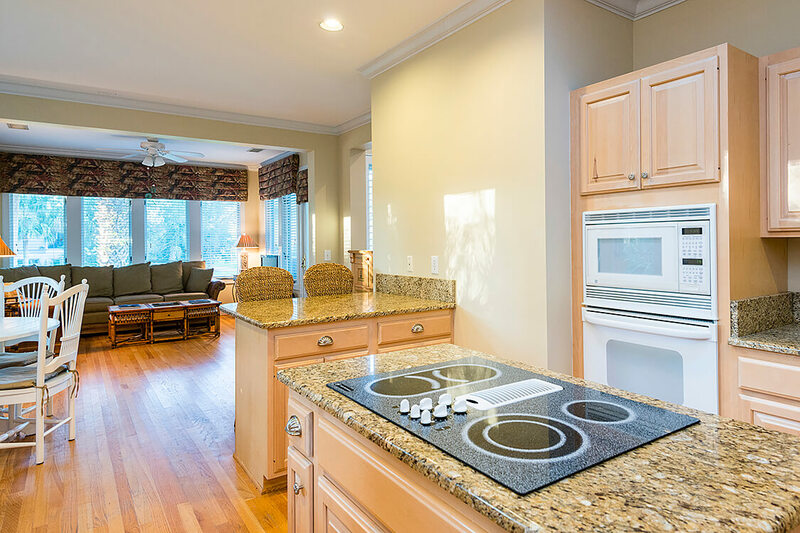 It also features hardwood cabinets and granite countertops, bar seating and a casual dining area, and recessed lighting. 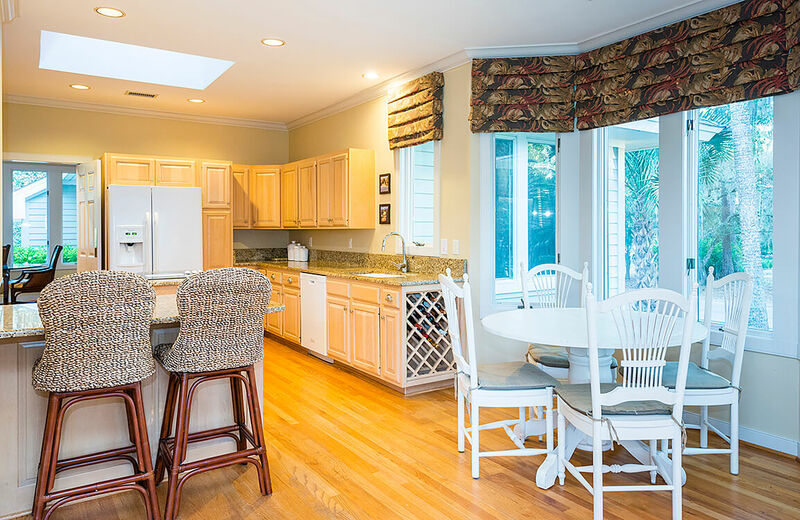 The kitchen is open to a sunroom, which is currently being used as an informal den area. 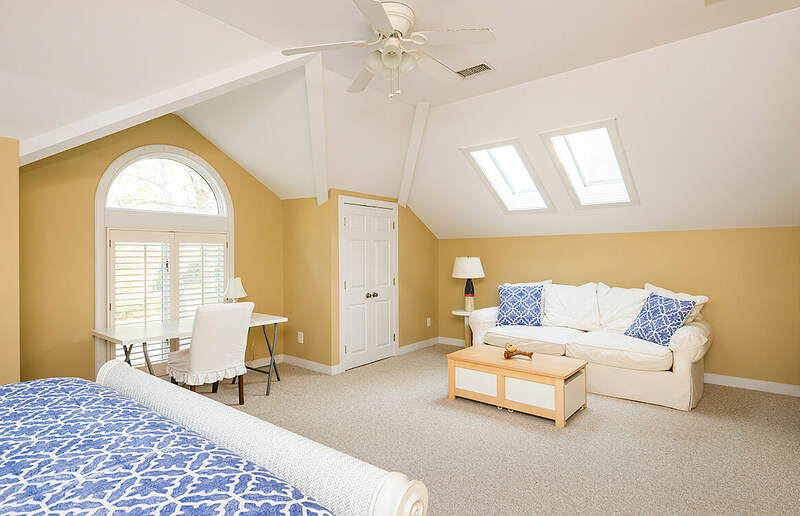 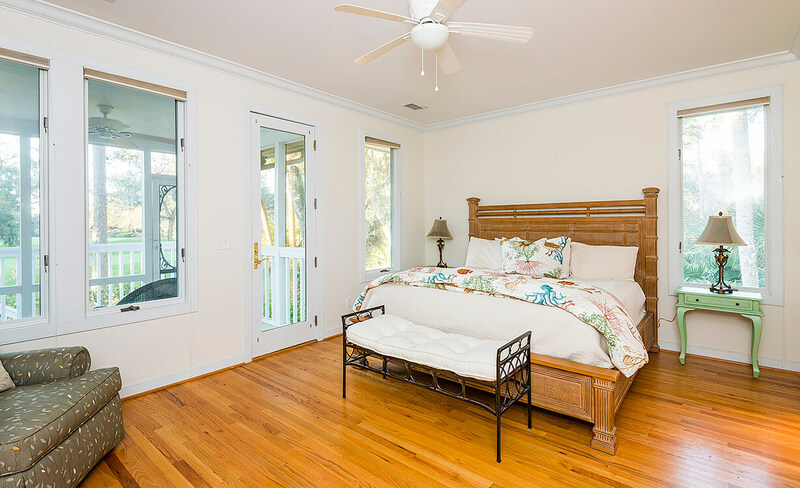 The first-floor master suite has plentiful natural light and access to a private screened porch that overlooks the course. 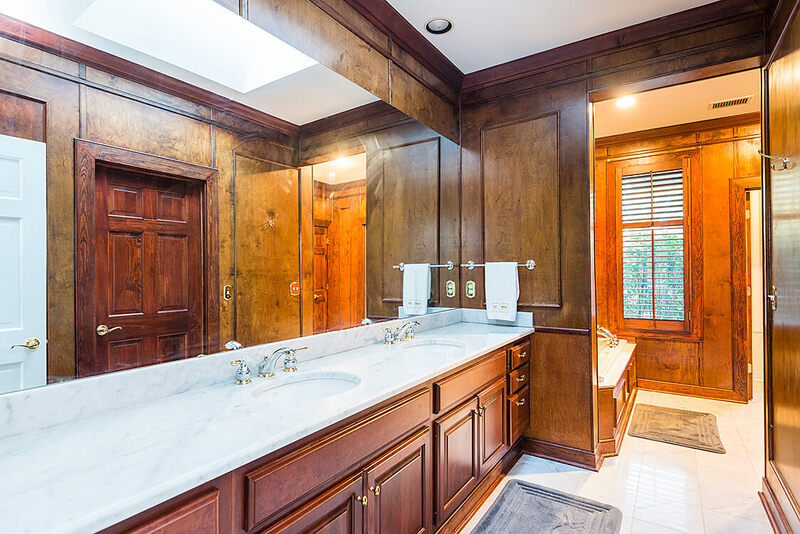 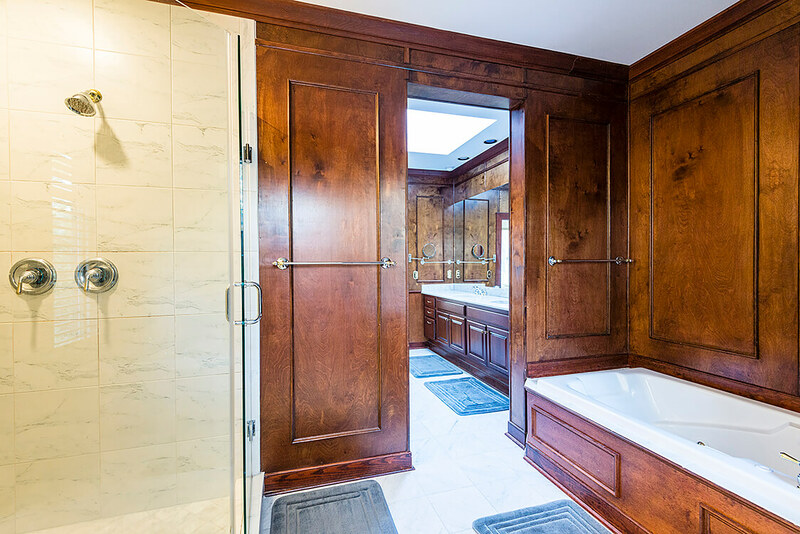 The impressive master bathroom is complete with a large walk-in closet, wood paneled walls, custom hardwood cabinets and marble vanity with dual sinks, and tile flooring. 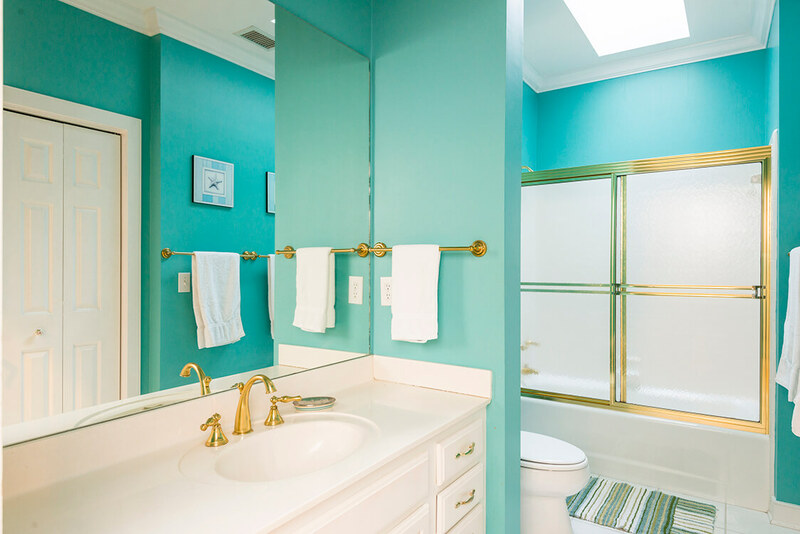 A large glass-and-tile shower and standalone soaking tub are separate from the private water closet. 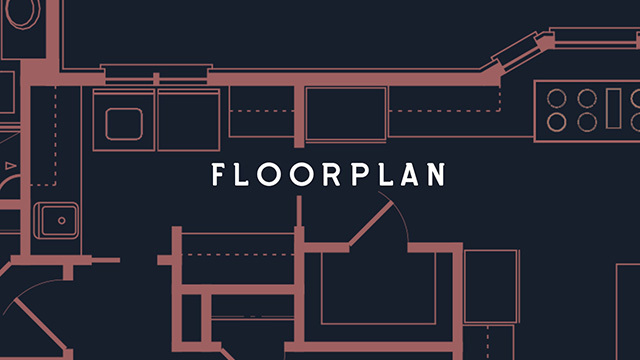 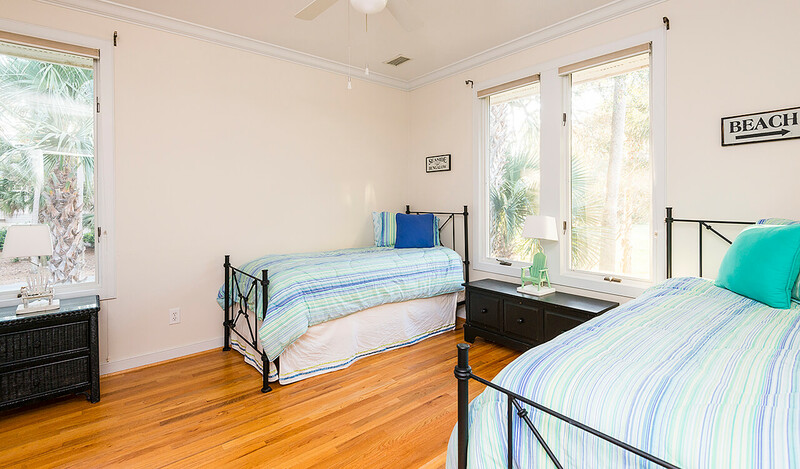 Two guest bedrooms on the first floor share a hall bathroom. 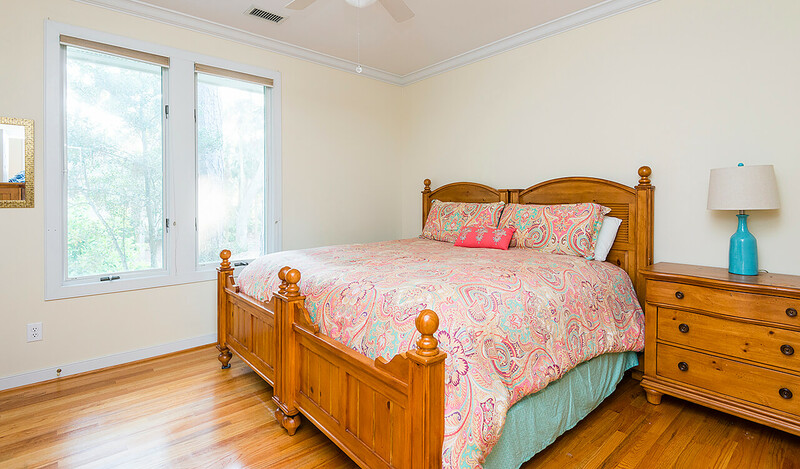 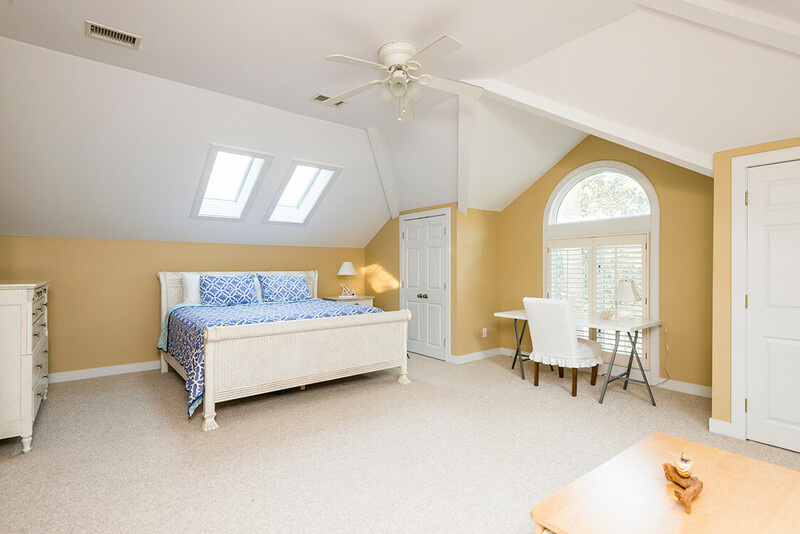 A fourth bedroom located over the attached garage is a large suite with wall-to-wall carpeting, tall ceilings, and plenty of space for an additional sitting area. 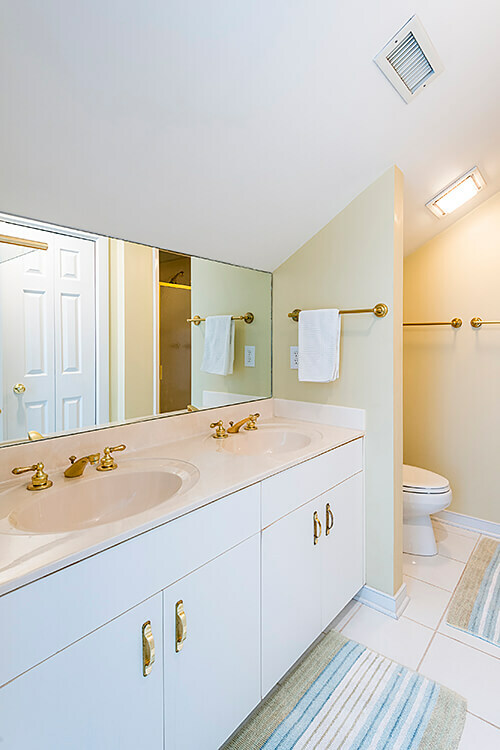 A full bathroom with dual sinks allows for total comfort and privacy for visitors. 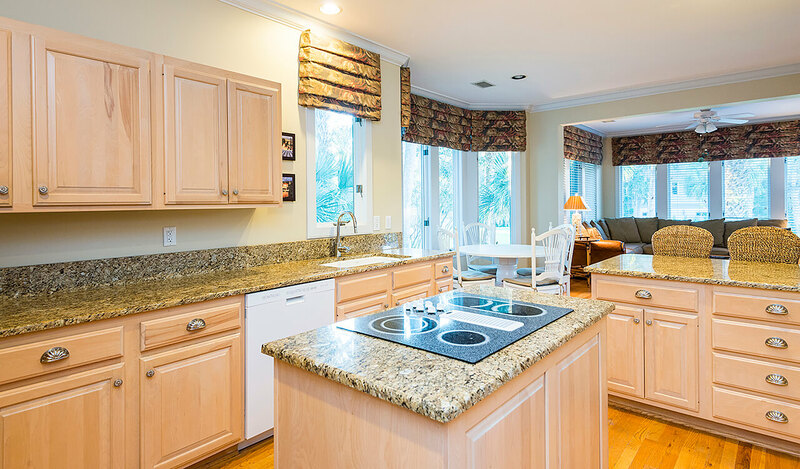 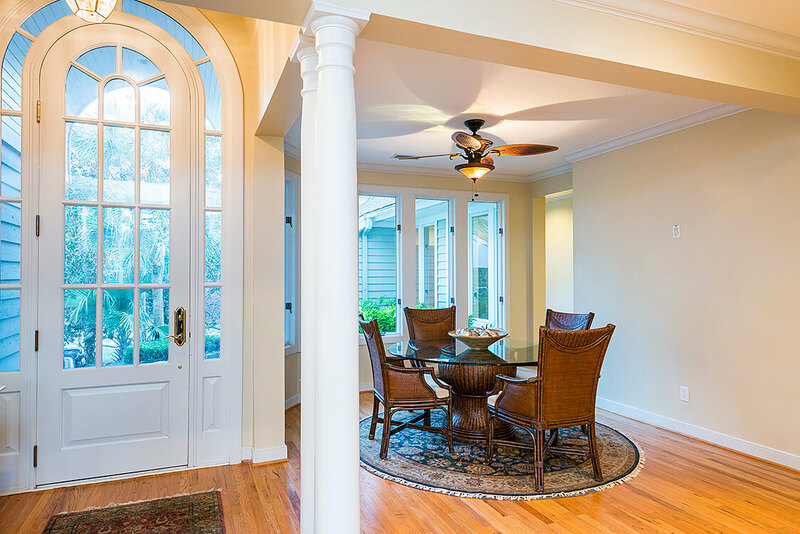 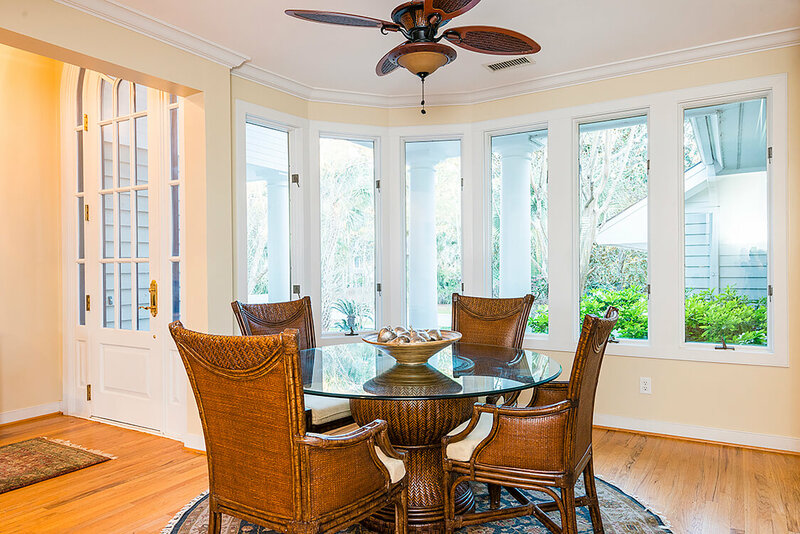 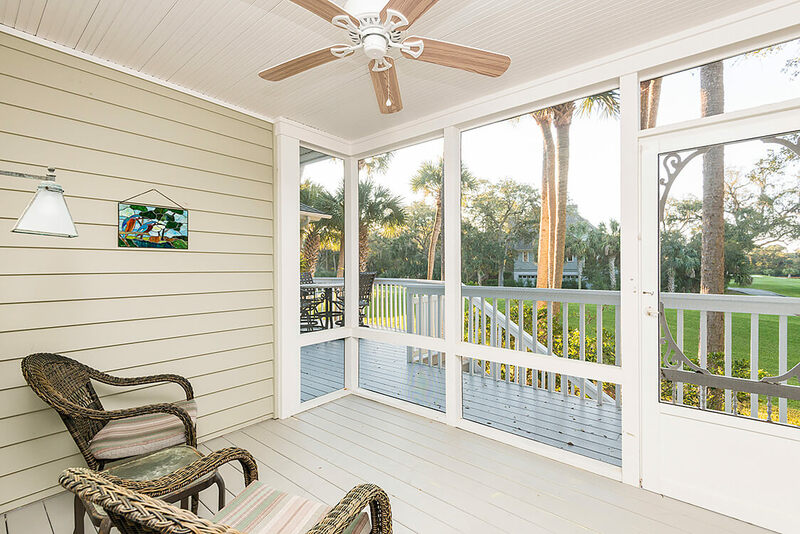 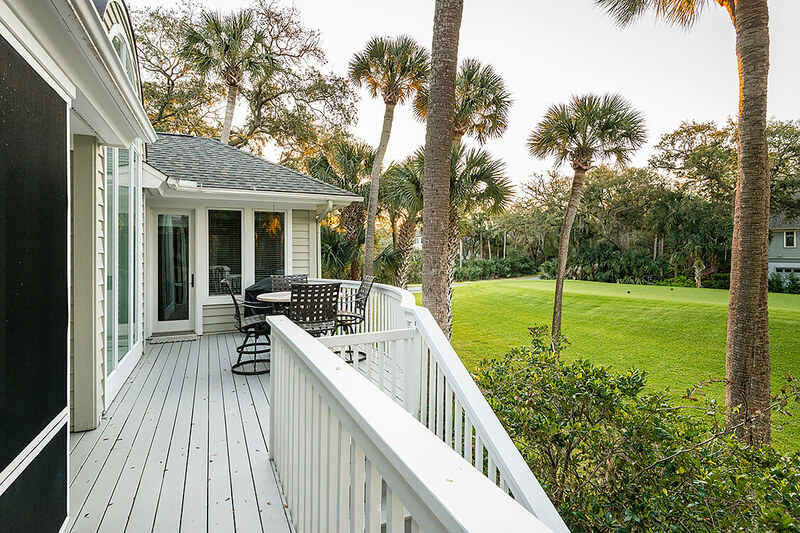 268 Governor’s Drive is available with a Kiawah Island Club Social Membership and is also being offered fully furnished with just a few exclusions.